TAMPA, Fla. - With the 2019 USL League Two season less than four months away, preparation has begun for the league's 25th campaign. The 2019 season will feature 72 clubs across the United States and Canada, and on Tuesday, the league revealed its structure for the Western Conference. The Western Conference will be composed of three divisions -- Northwest, Mountain and Southwest -- which remains unchanged from the 2018 campaign. Six clubs will make up the Northwest Division, including the 2018 PDL champions Calgary Foothills FC. Joining the Canadian side will be Lane United FC, Portland Timbers U23, Seattle Sounders FC U23, Vancouver TSS FC Rovers and Victoria Highlanders FC. The Mountain Division will feature four clubs -- Albuquerque Sol FC, Colorado Pride Switchbacks U23, Ogden City SC and recently-announced Park City. In 2018, Utah-based club Ogden City debuted in League Two (formerly PDL). Meanwhile, FC Golden State Force aims to keep its Southwest Division crown in 2019, as the California side is joined by eight clubs in the league's largest division. Orange County SC U23, San Diego Zest FC, San Francisco City FC, San Francisco Glen SC, Santa Cruz Breakers, Southern California Seahorses and Ventura County Fusion will round out the Southwest Division. 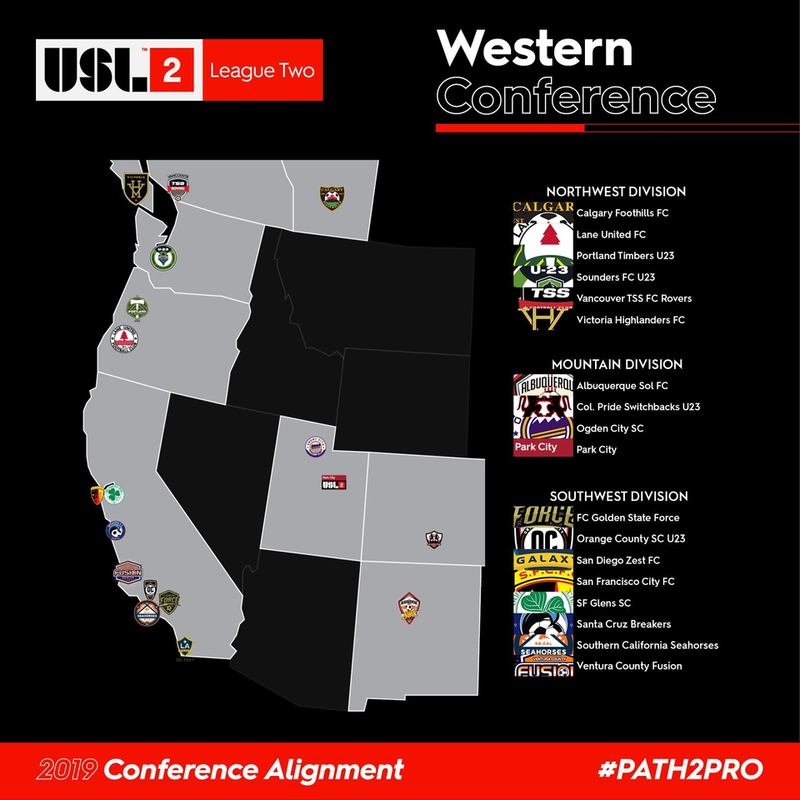 For updates on the rest of the league's conference alignment designations, visit USLLeagueTwo.com throughout the rest of the week. 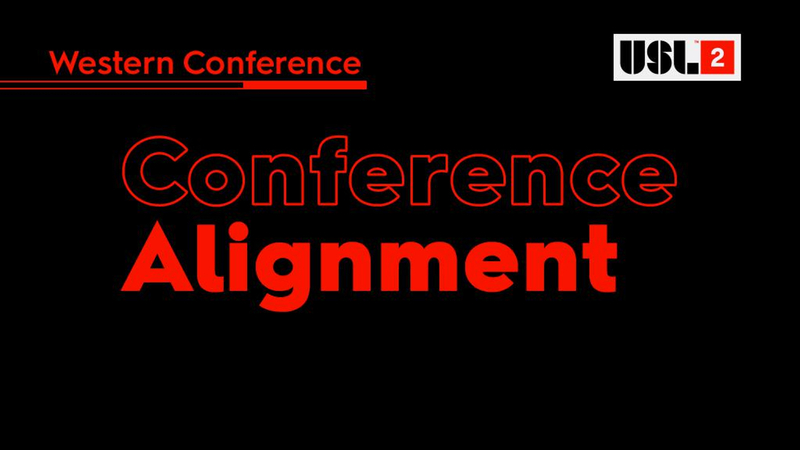 The Central Conference alignment will be announced on Wednesday, with the Eastern and Southern Conferences to follow later this week.